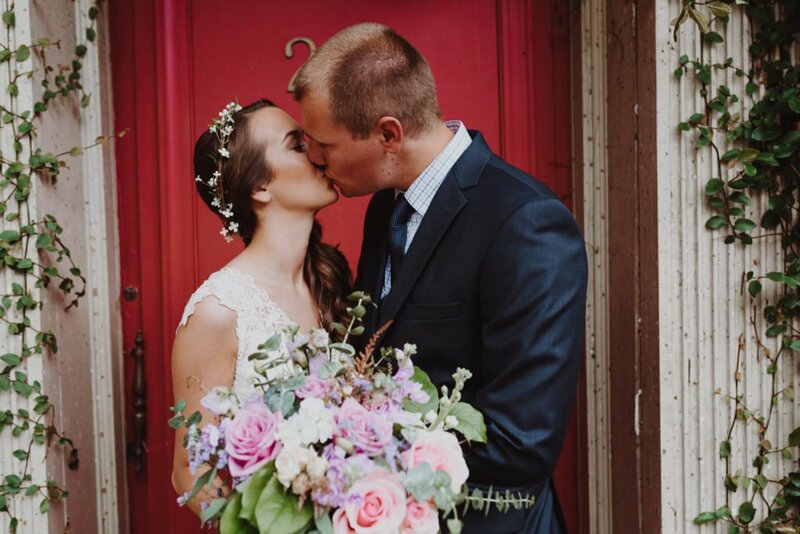 Check out this downtown Portland Oregon summer wedding. 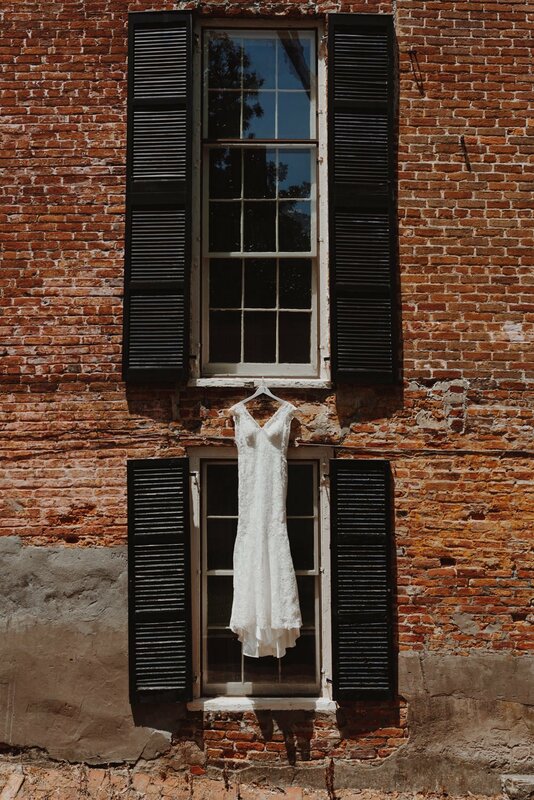 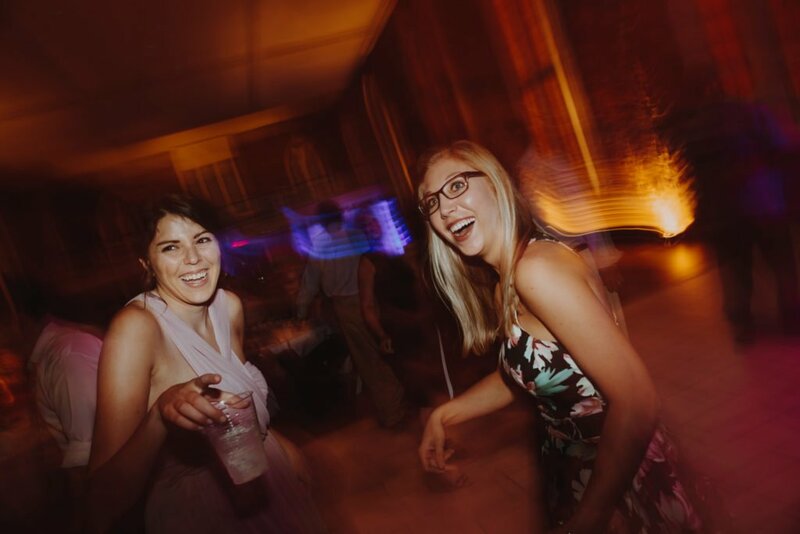 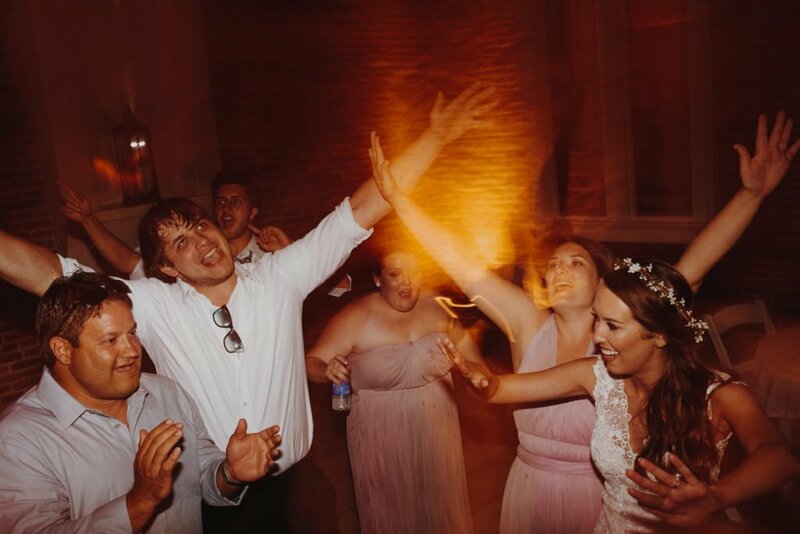 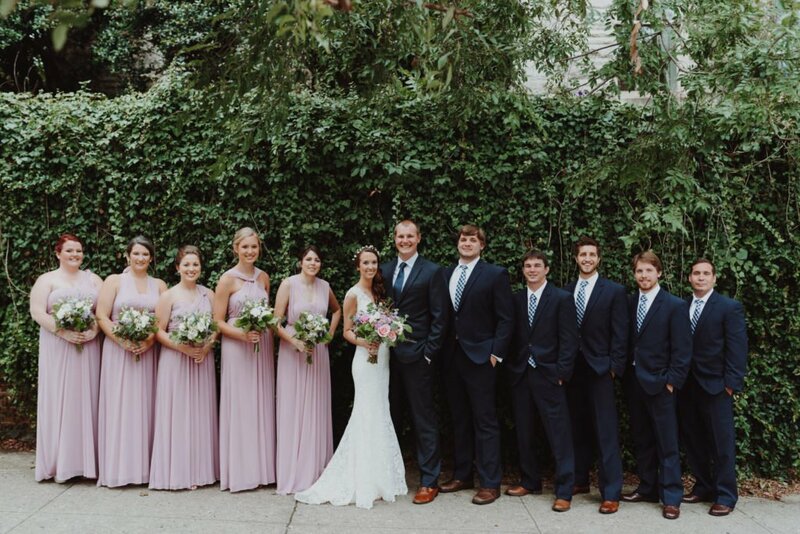 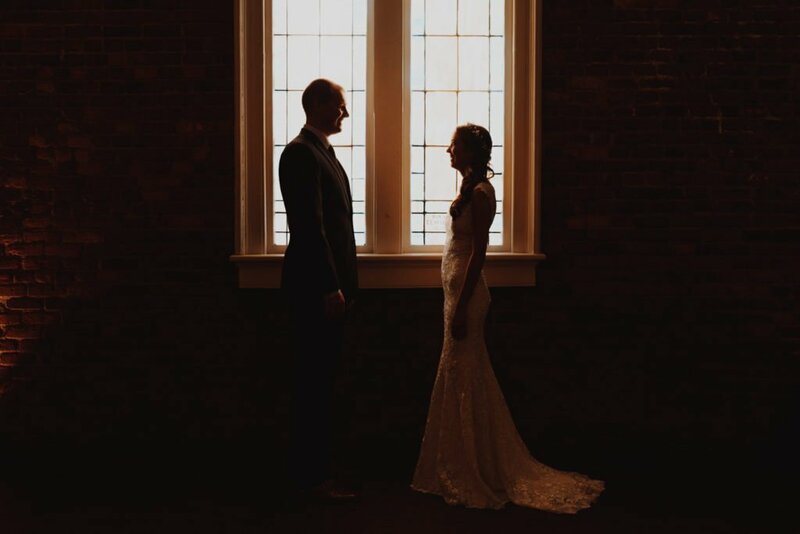 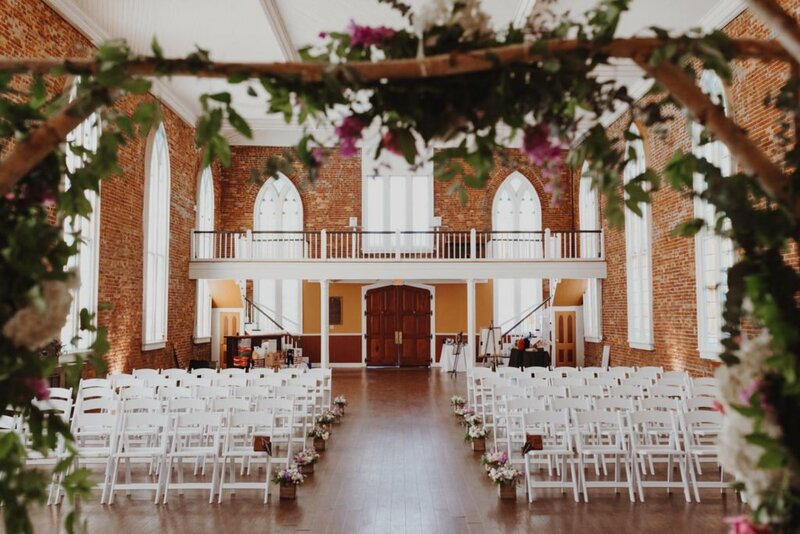 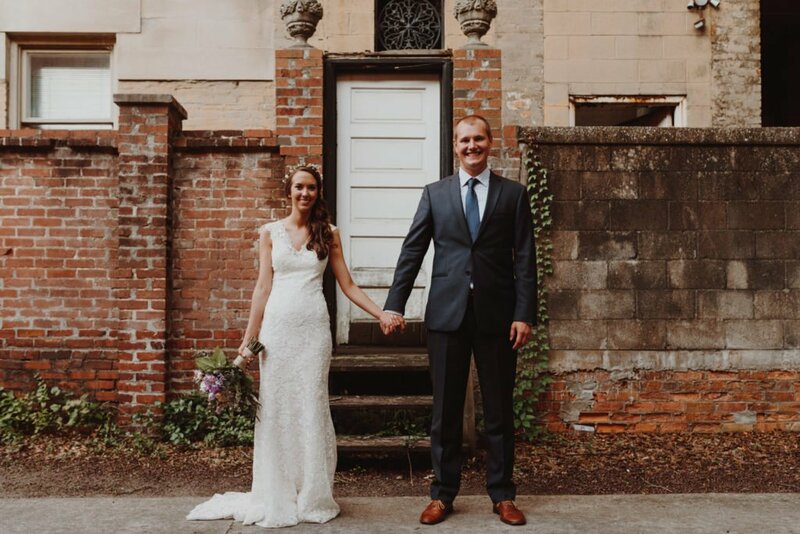 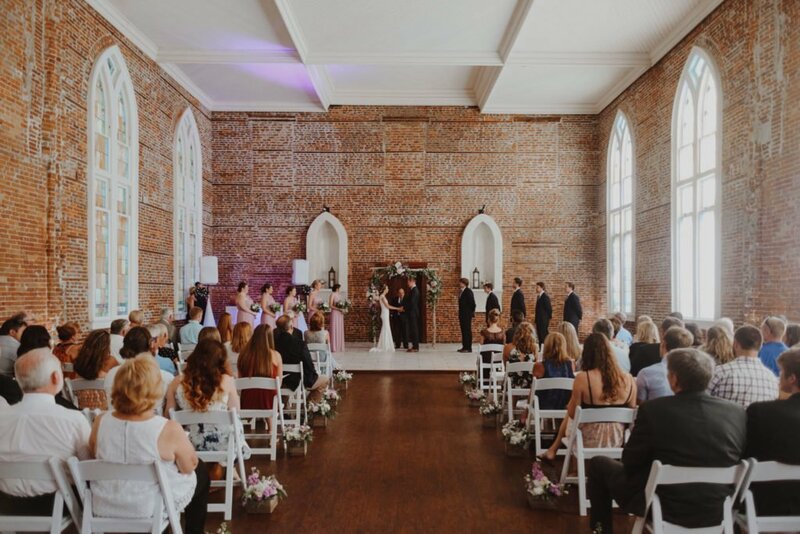 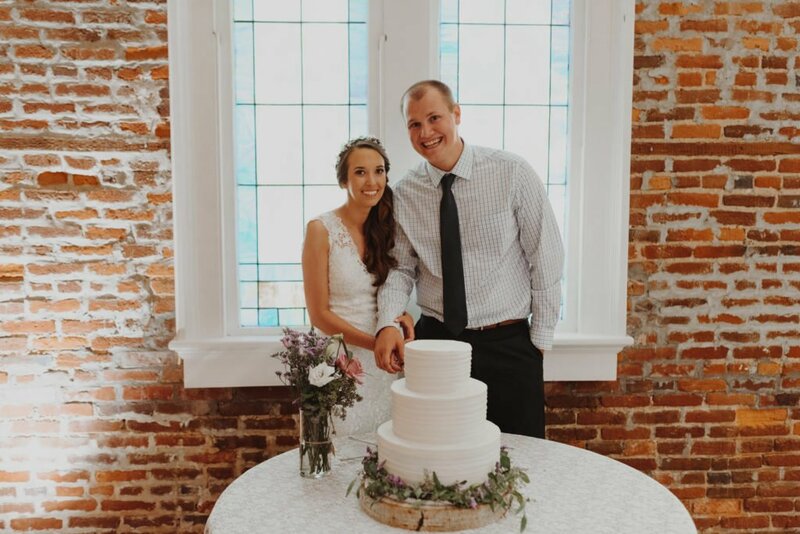 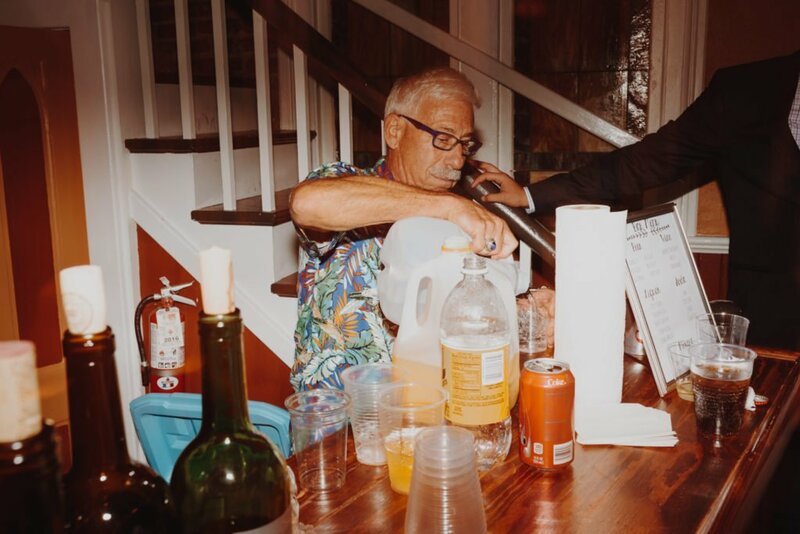 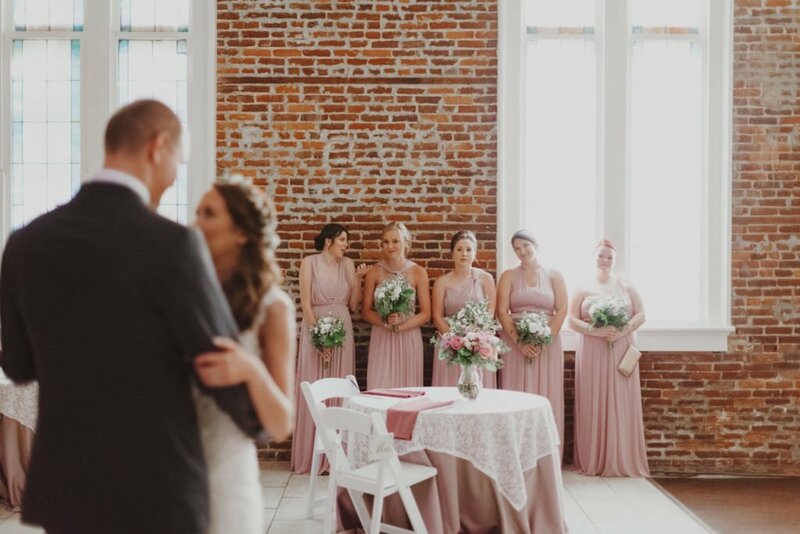 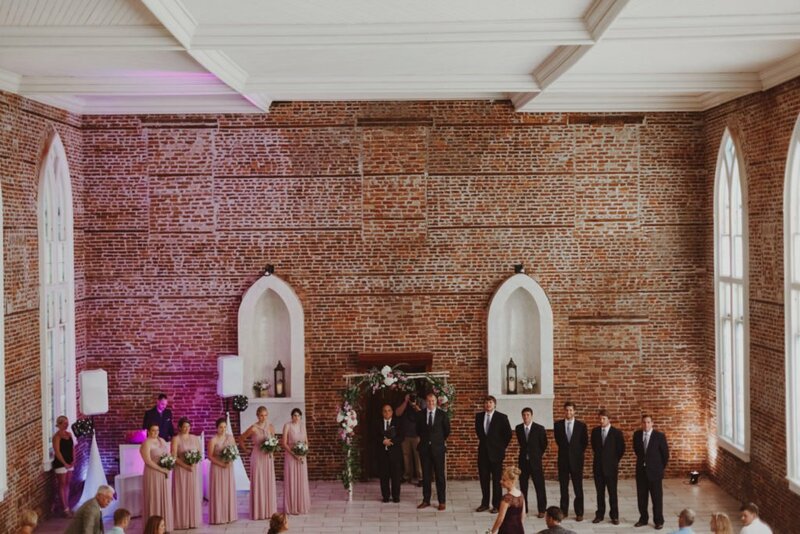 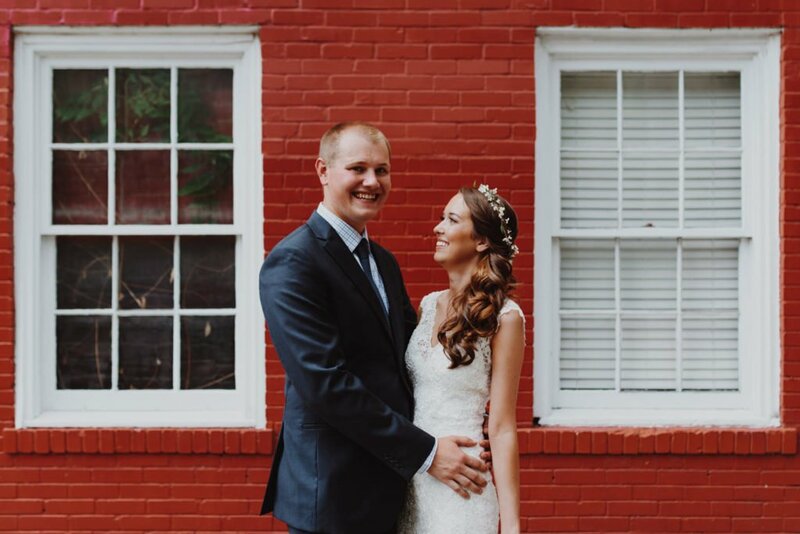 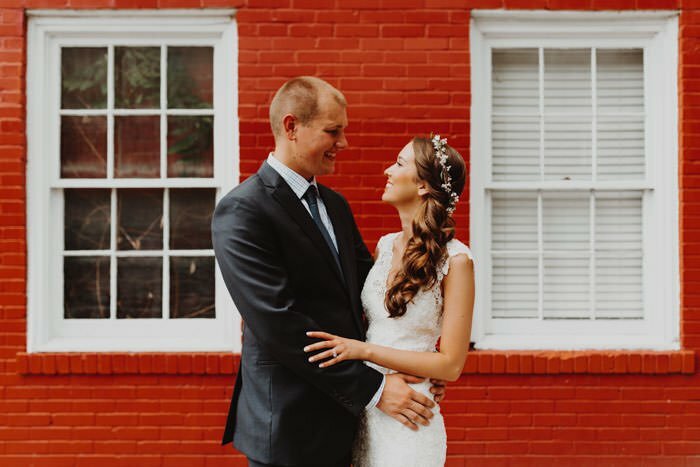 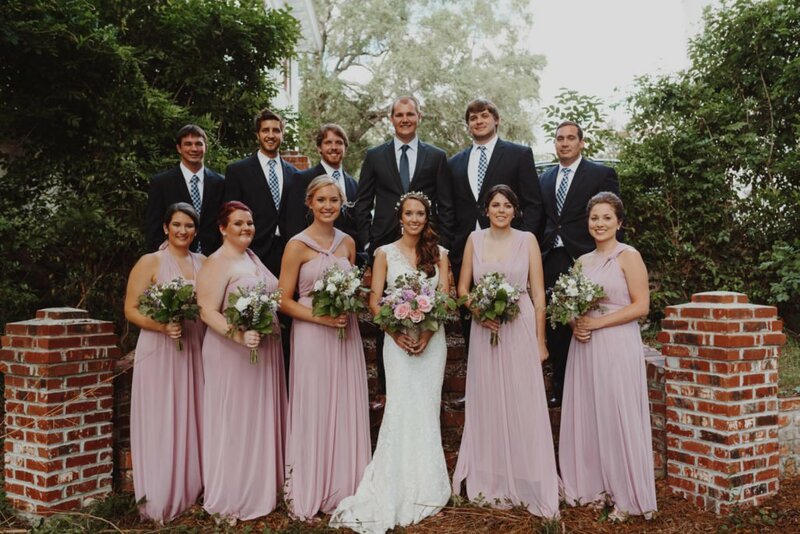 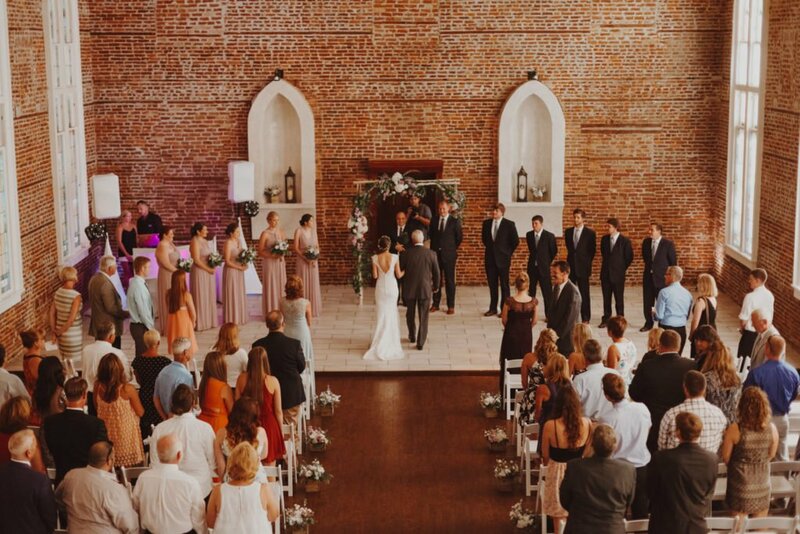 Exposed brick, an old church, boho style for the bride and an awesome group of friends and family. 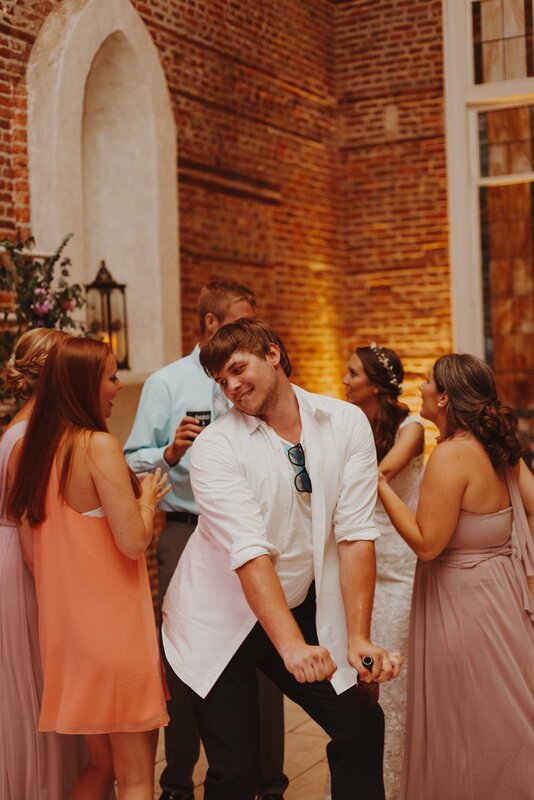 What else do you need? 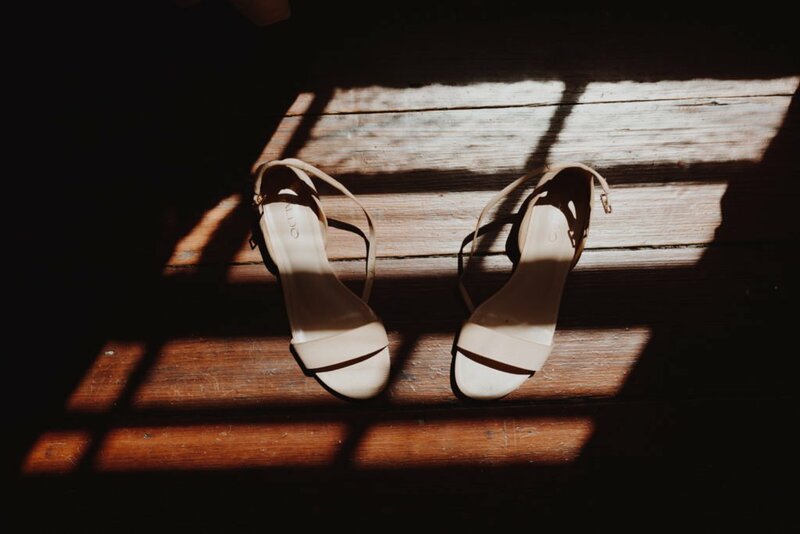 I purposely didn’t blog this one because I knew come winter time I’d be wanting to lay my eyes on some sunny, warm goodness. 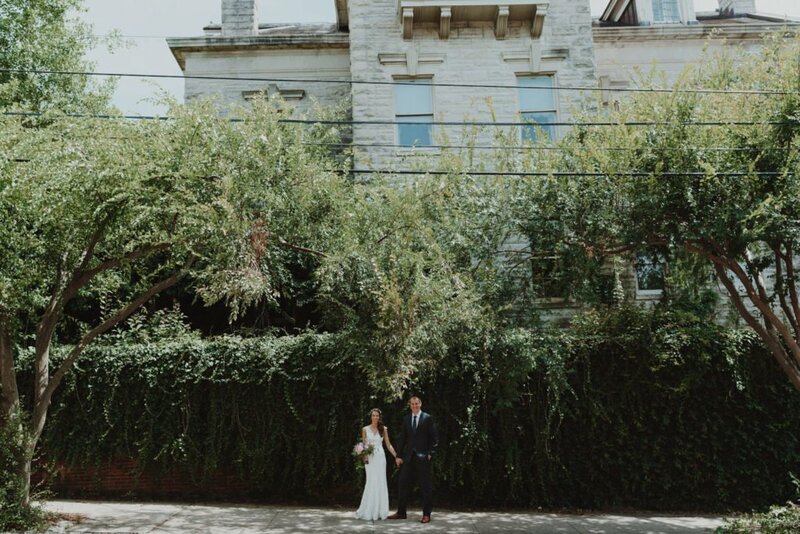 Before I get into locations, let me just talk about how awesome the couple is. 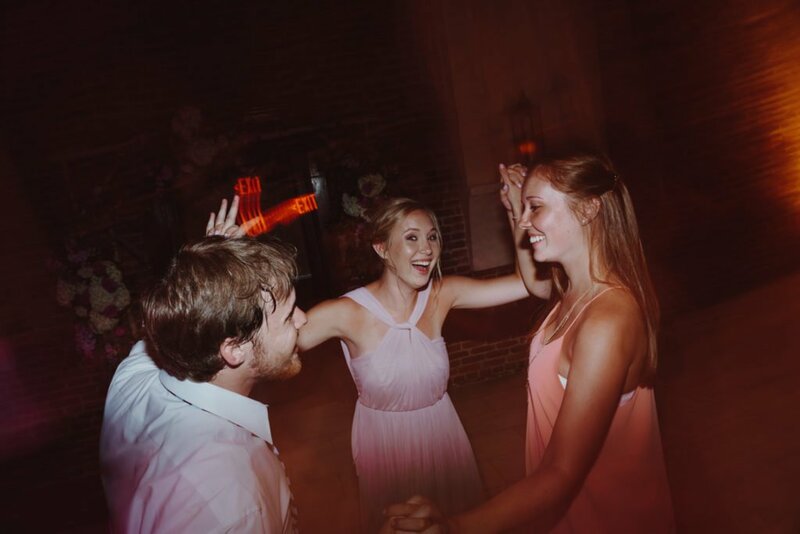 Amanda and Matt are just super down to earth , incredibly genuine people. 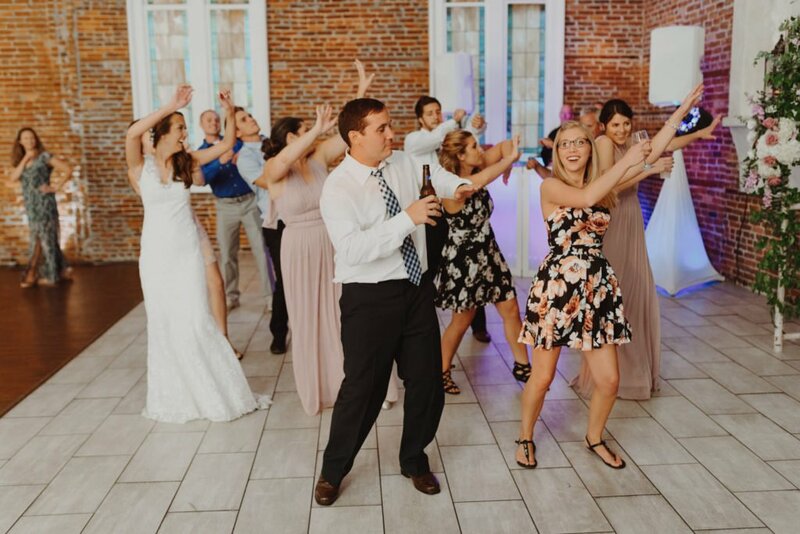 They’re the kind of people I look for when I book a wedding. 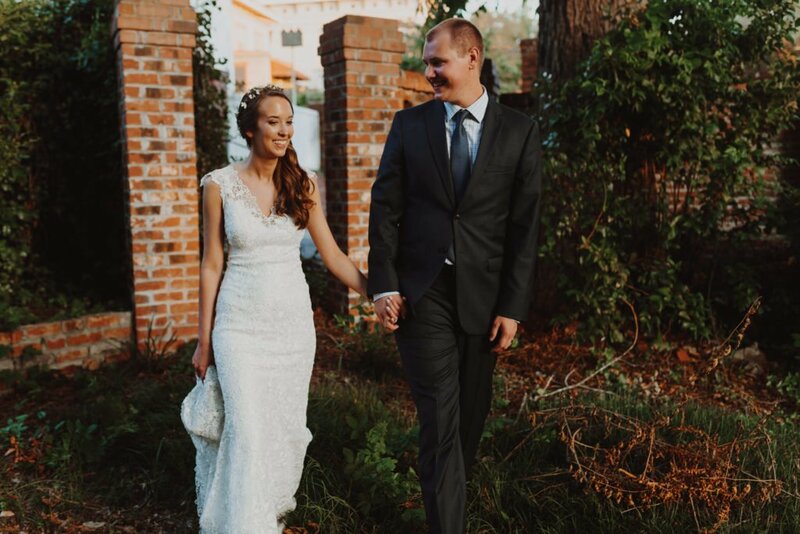 They’re incredibly in love, personable and made me feel like part of the family from booking to photographing the day of the wedding. 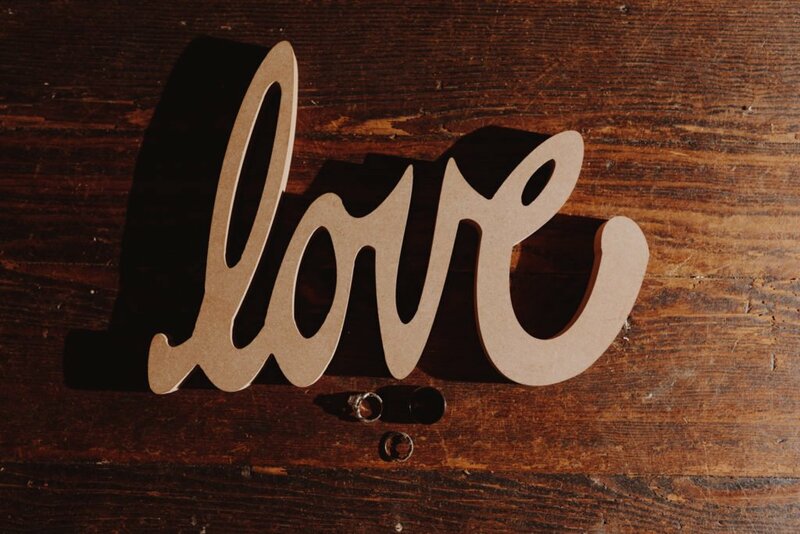 I’ve said it before but I’ll mention it again. 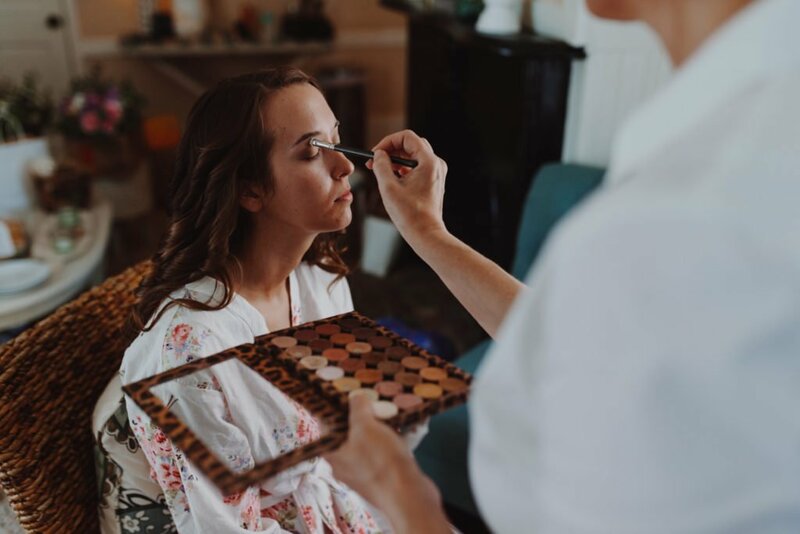 The most important part of booking clients for me is being able to create a friendship and be ourselves. 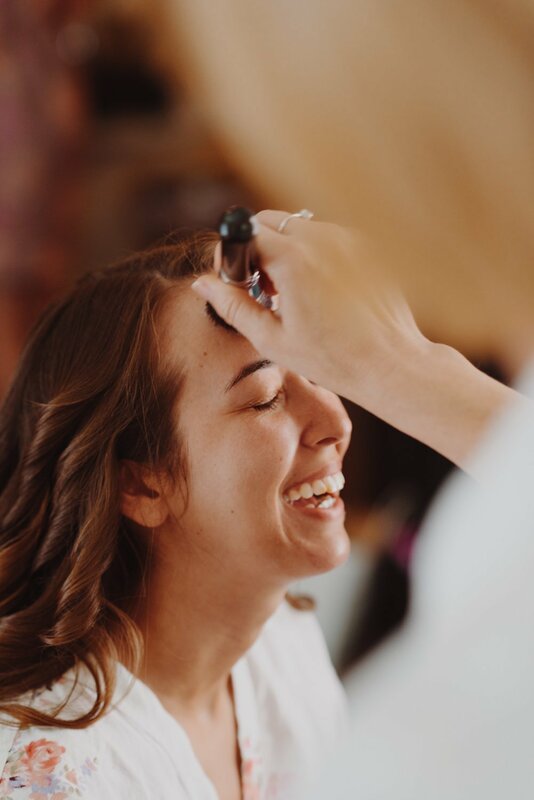 I’m a bit sarcastic and goofy sometimes, so when I find clients that embrace that and we really hit it off it makes the booking to photographing the day of process just really enjoyable. 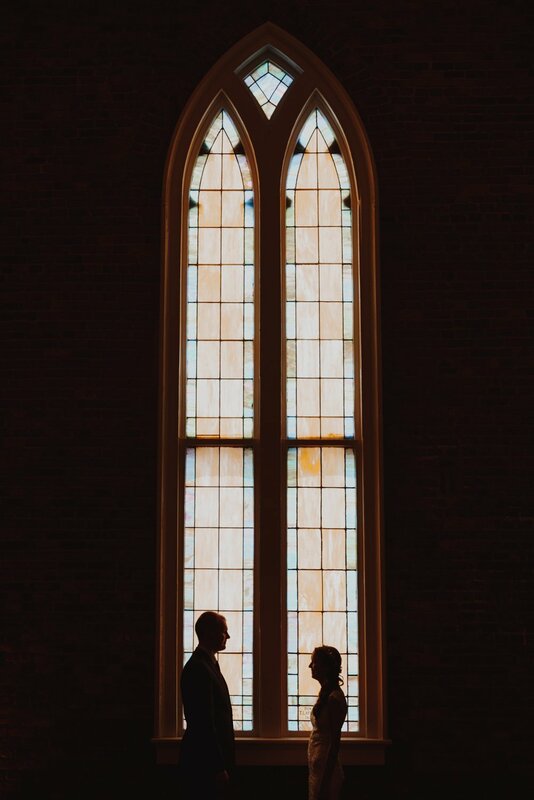 This was photographed at an old church just outside of downtown Portland Oregon. 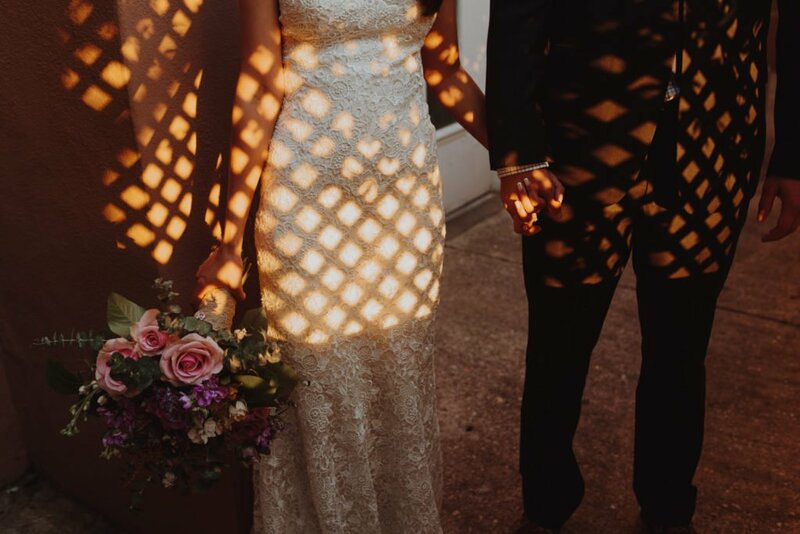 You’ll notice it was quite sunny this day and really quite toasty! 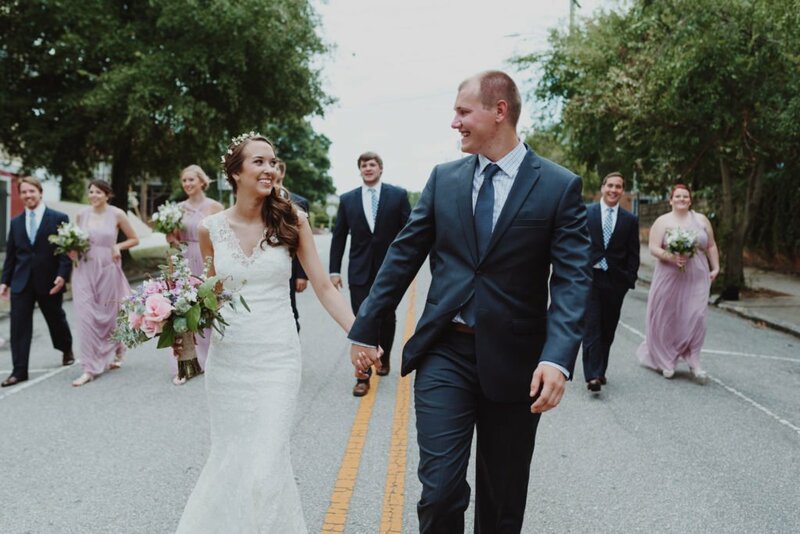 We split up the photos into before and after the ceremony just because we had the time that day. 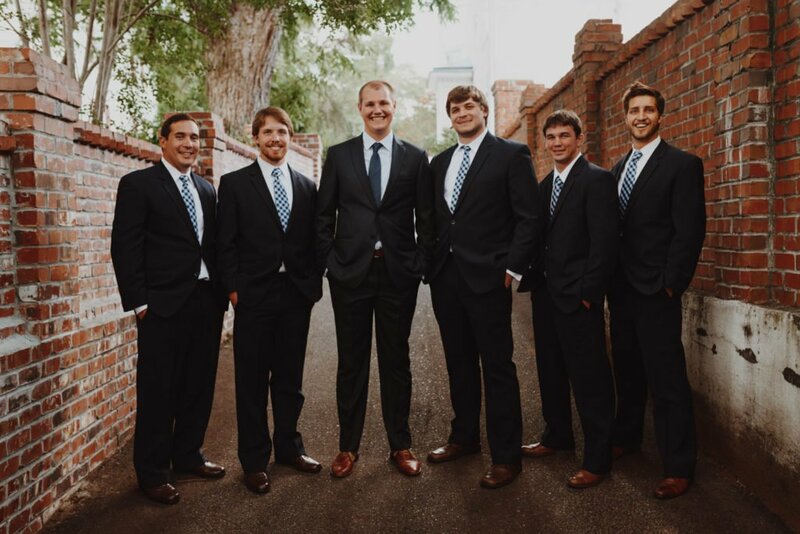 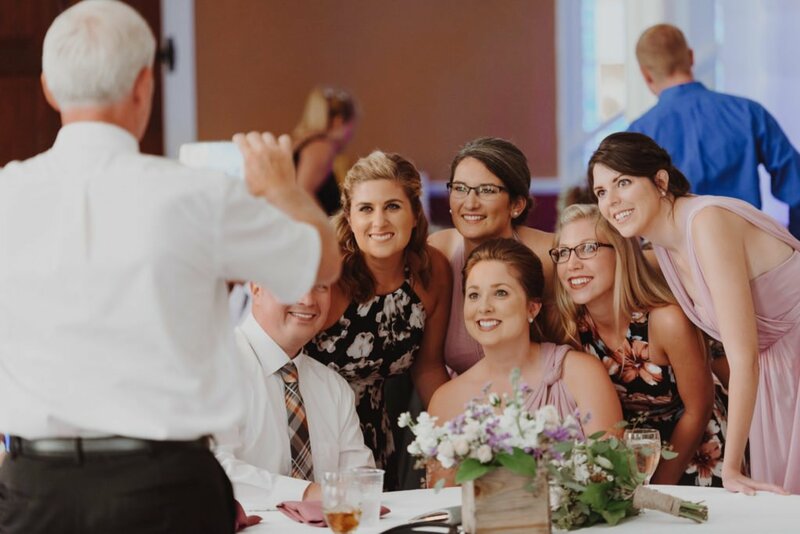 After their first look which was about 2 hours before the ceremony it freed us up to do a bunch of portraits with the bridal party and family. 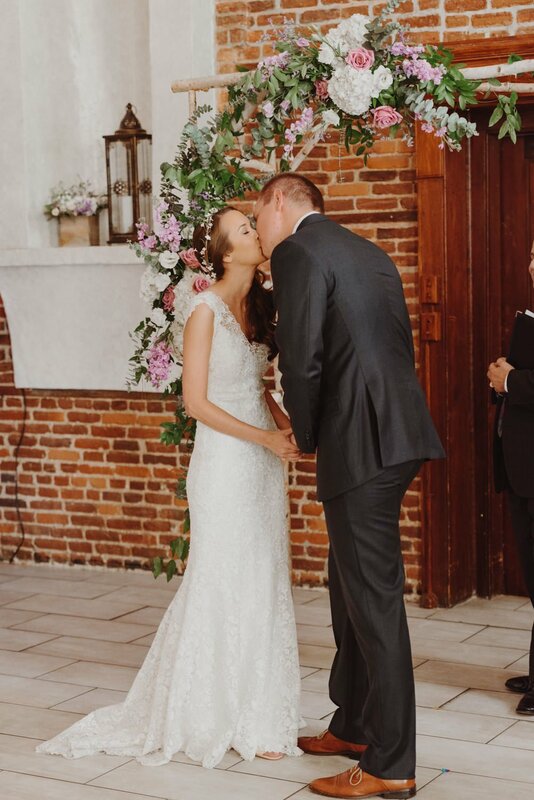 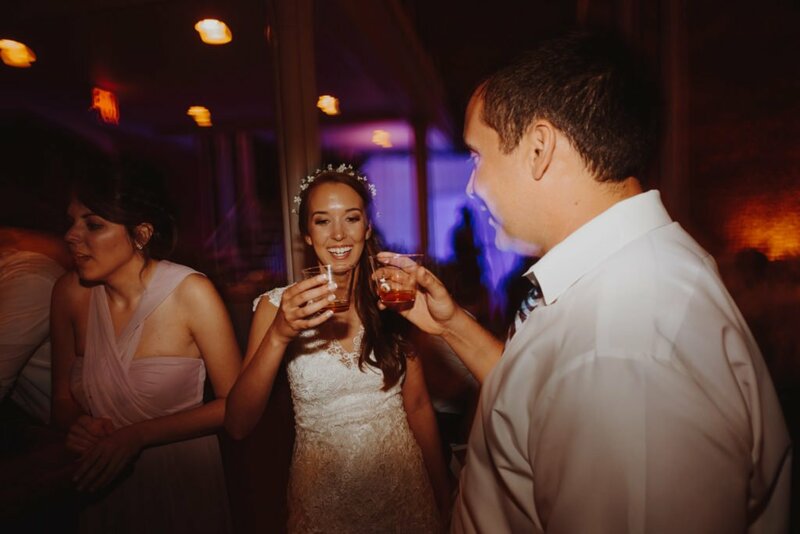 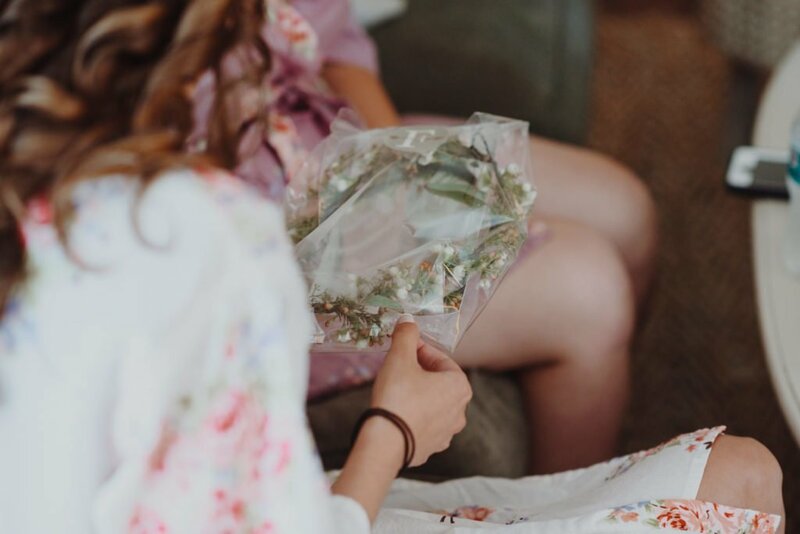 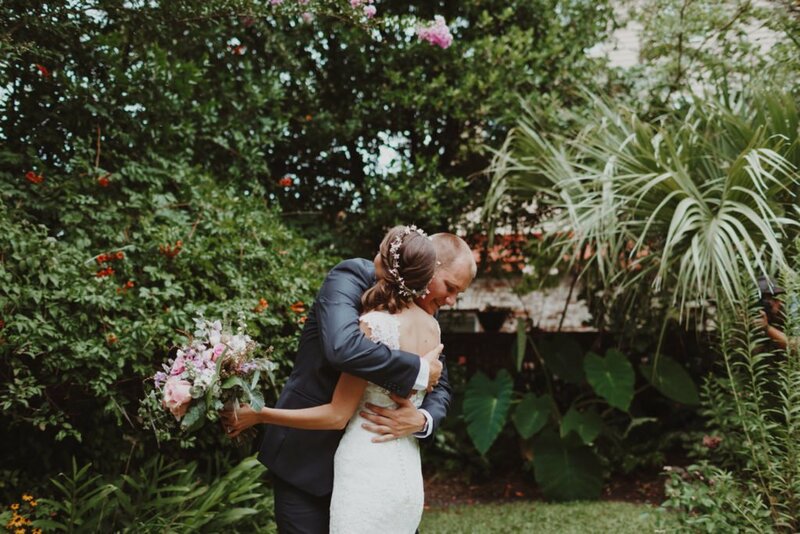 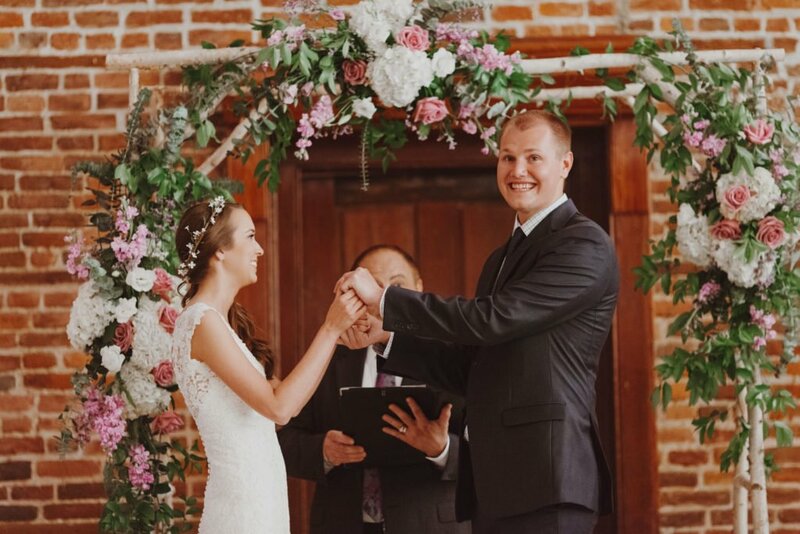 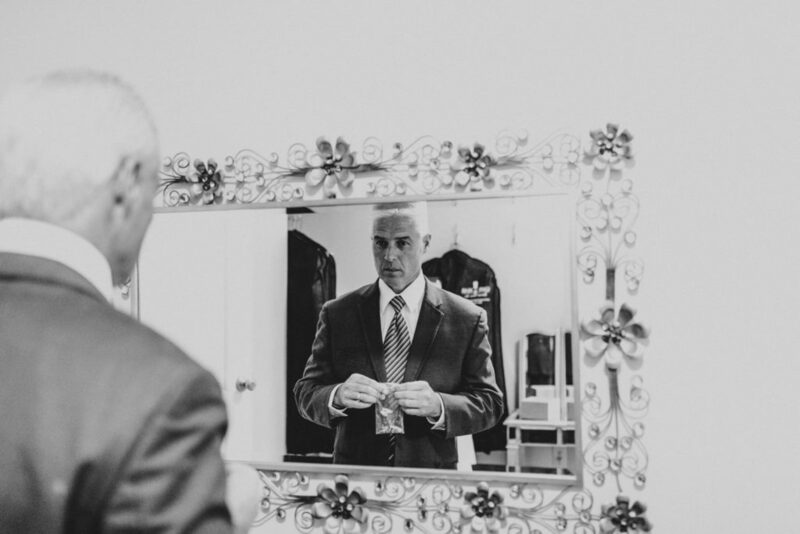 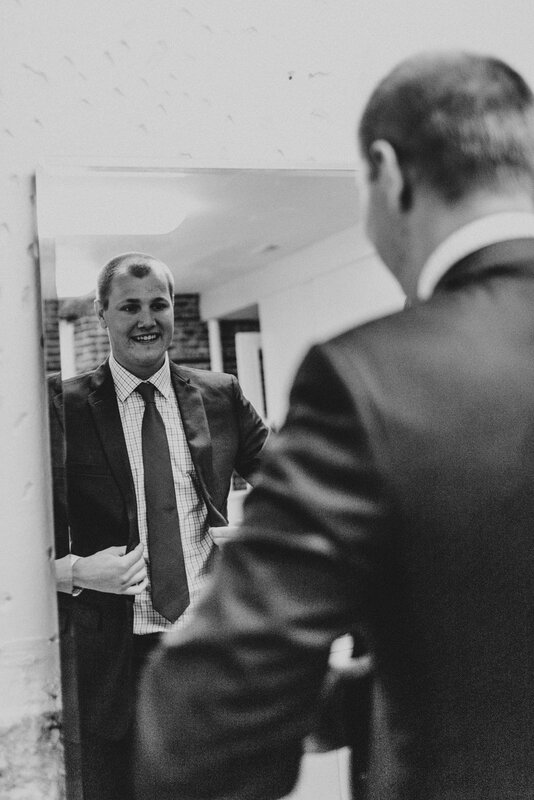 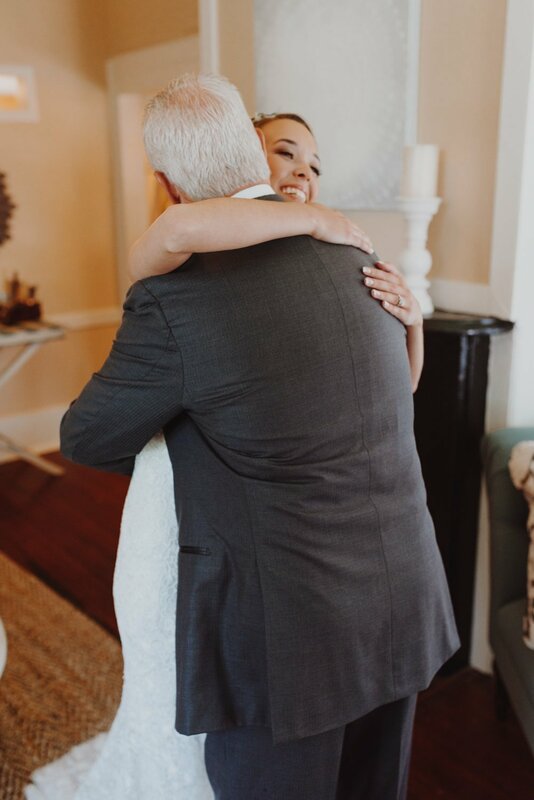 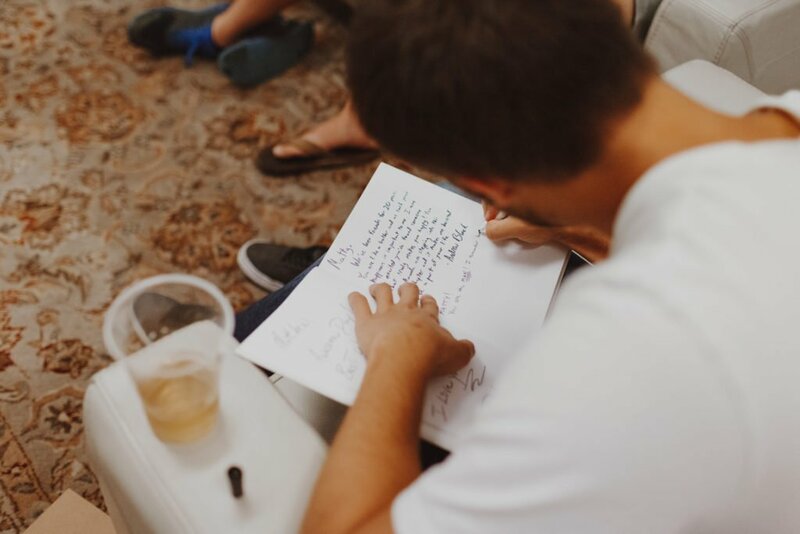 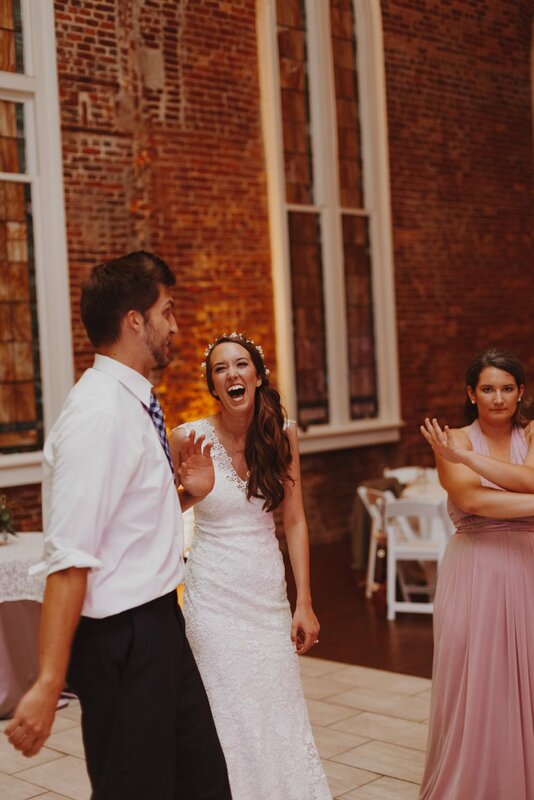 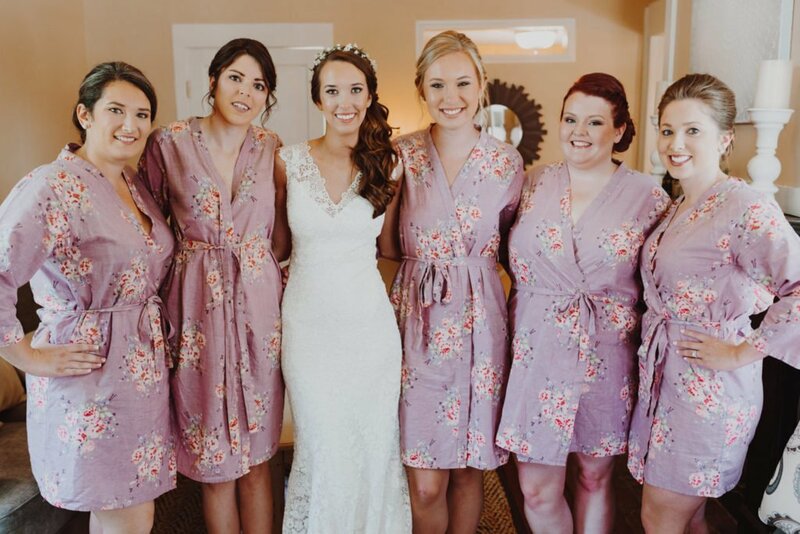 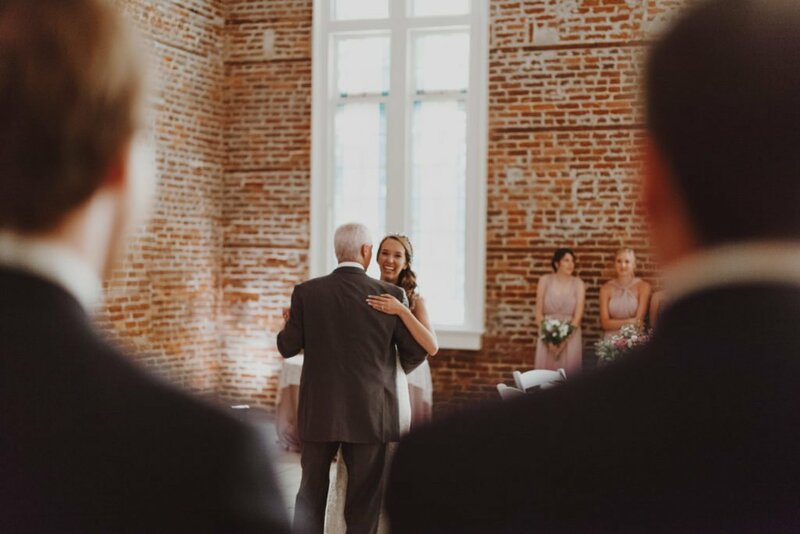 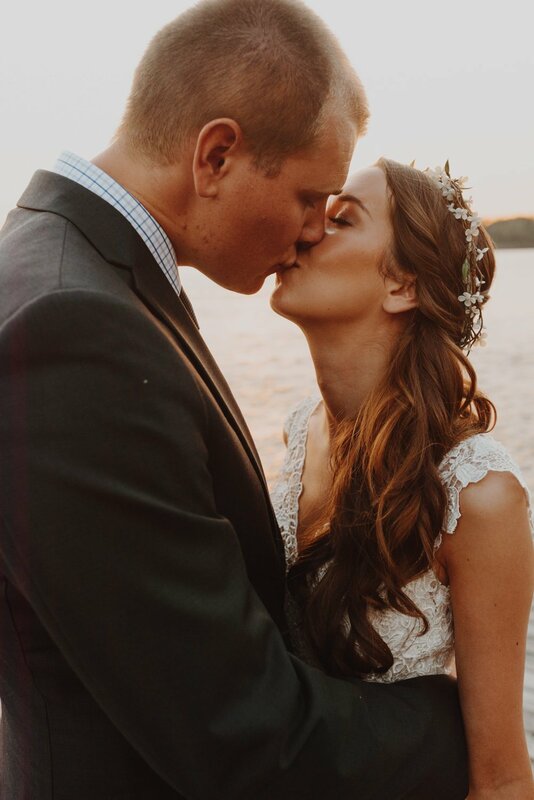 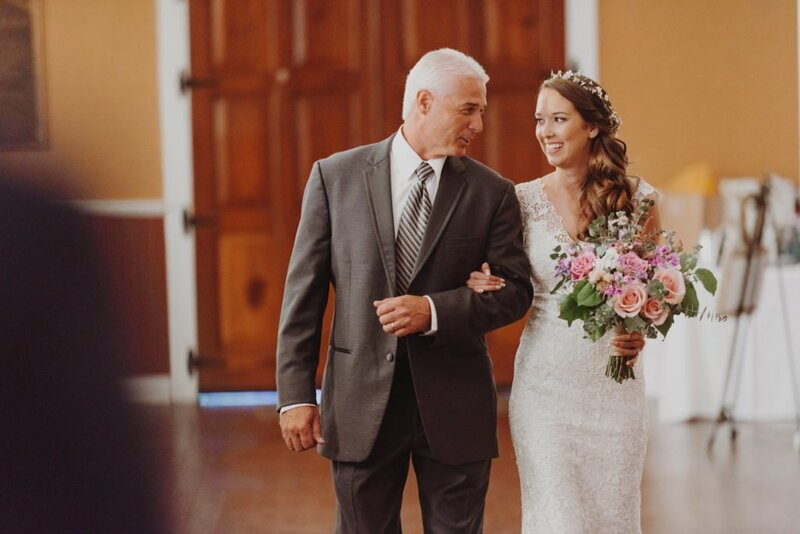 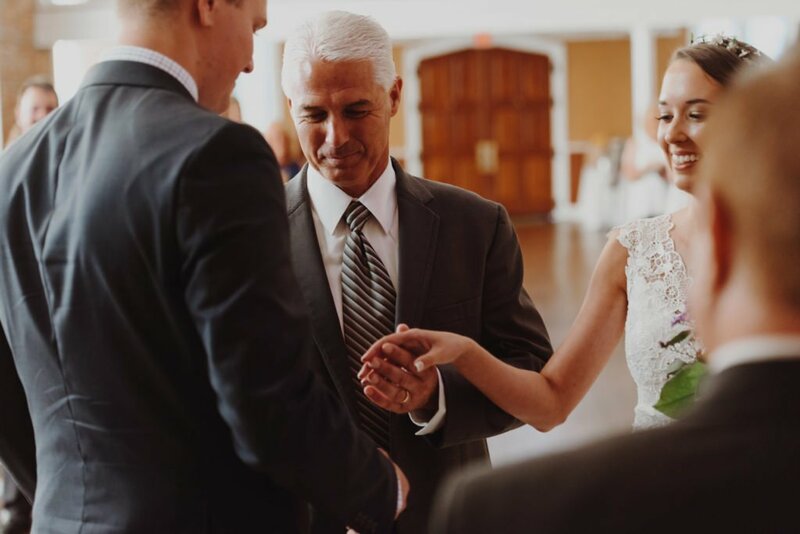 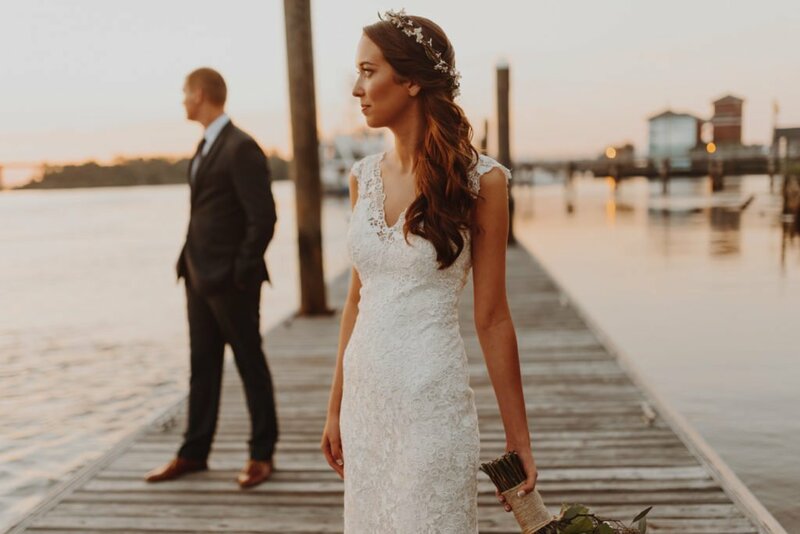 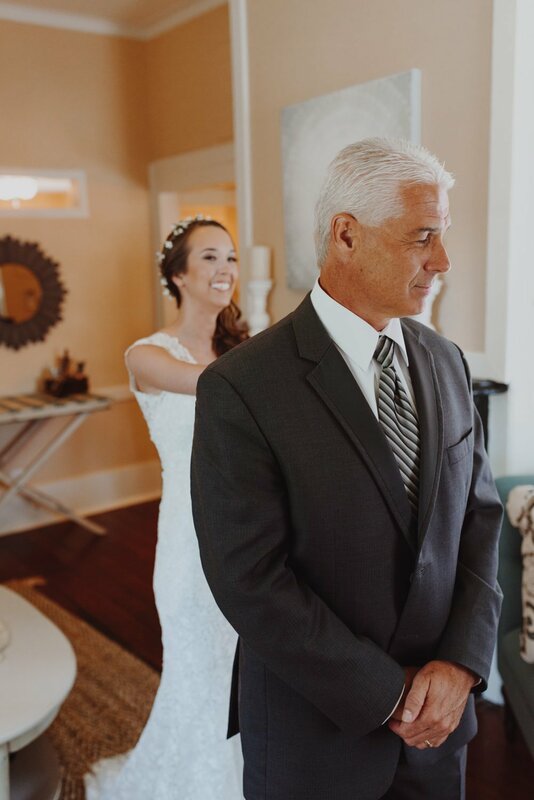 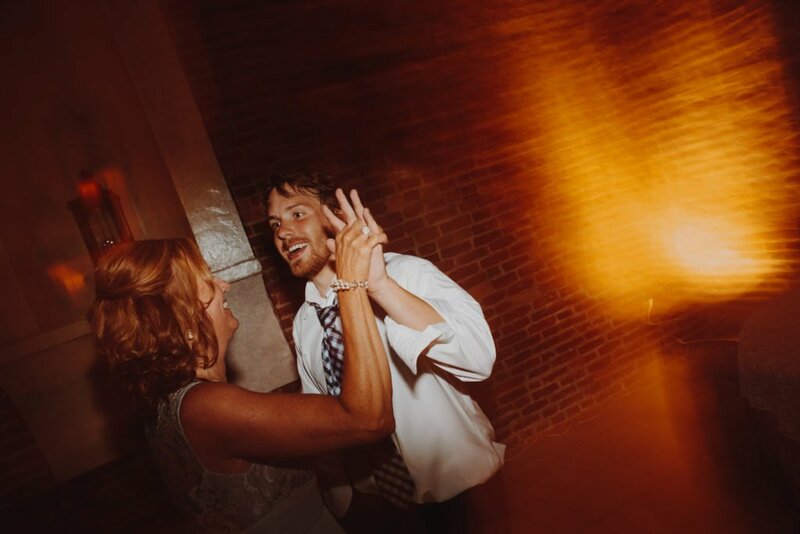 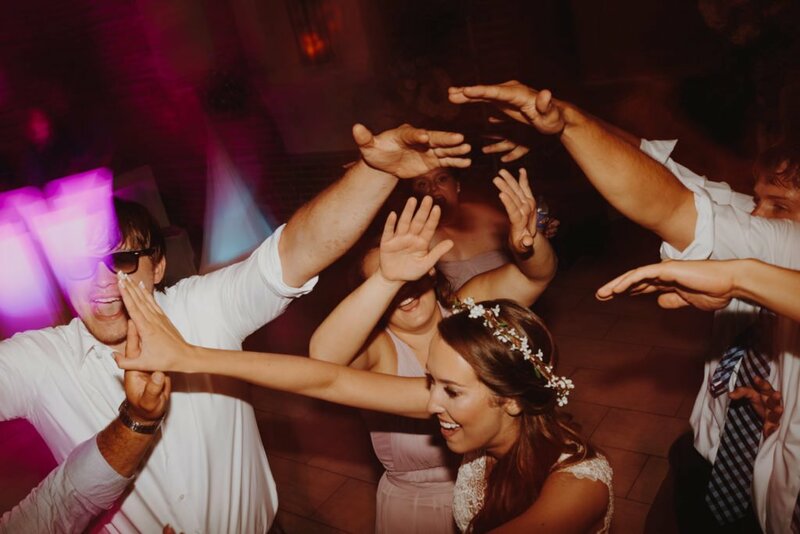 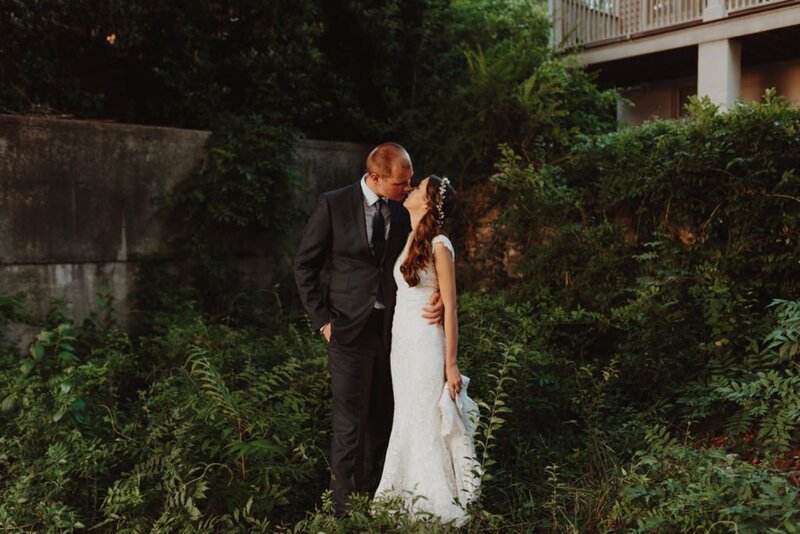 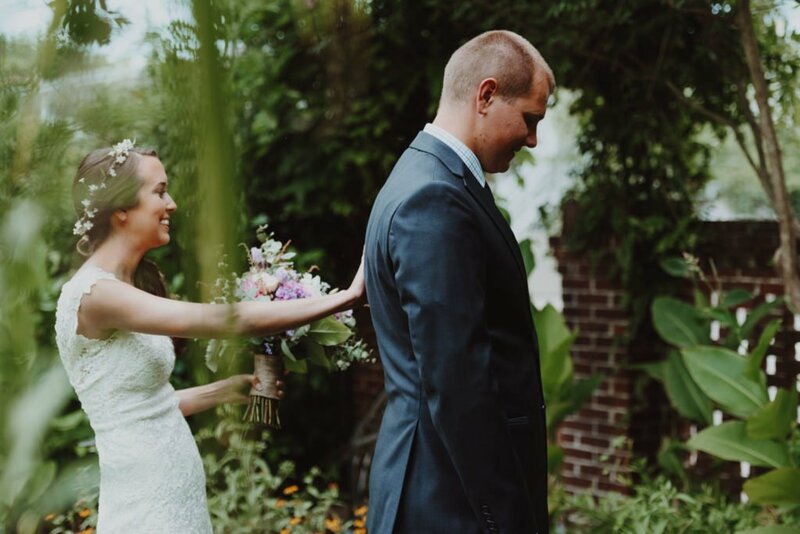 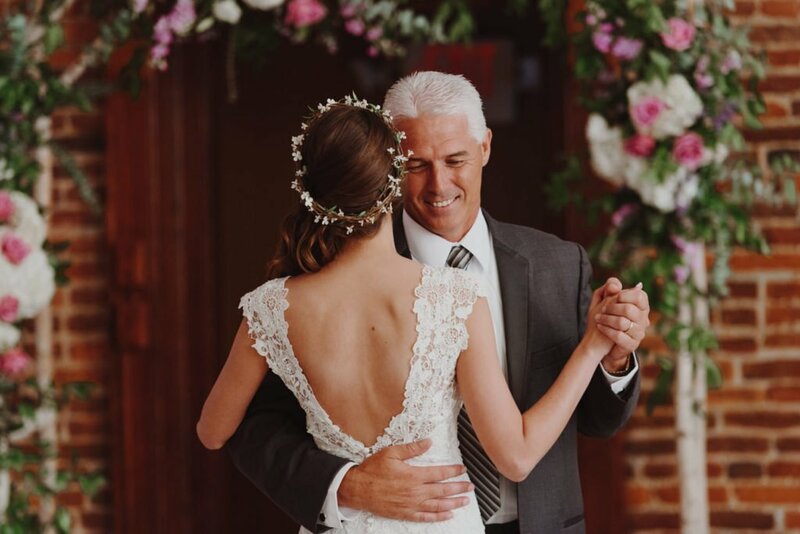 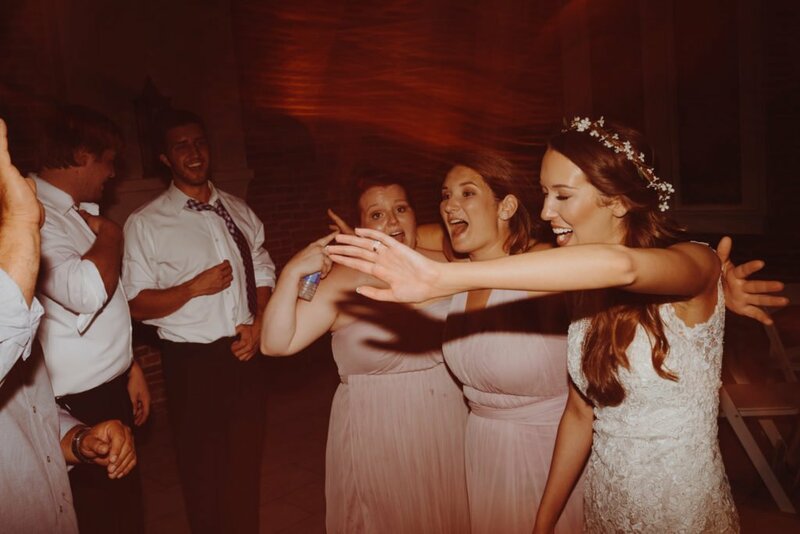 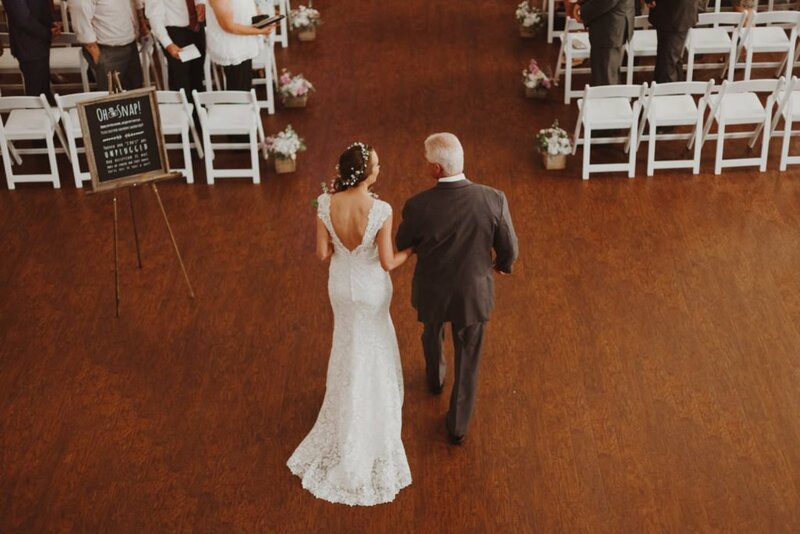 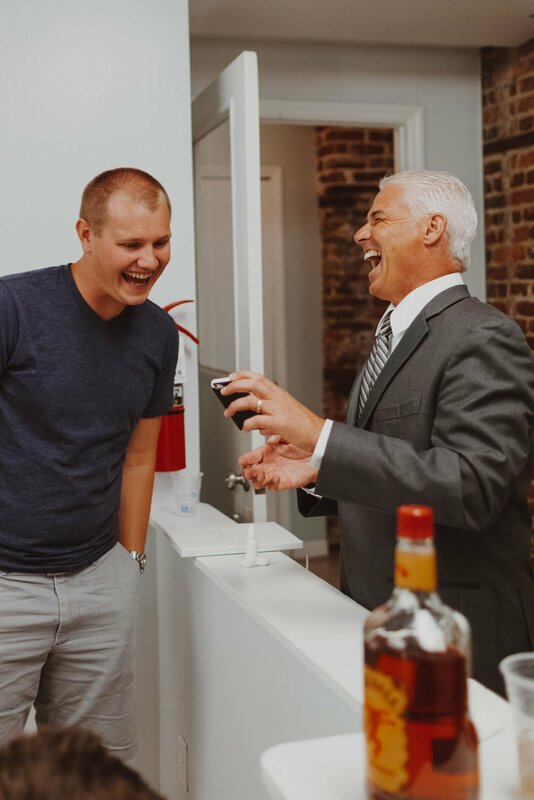 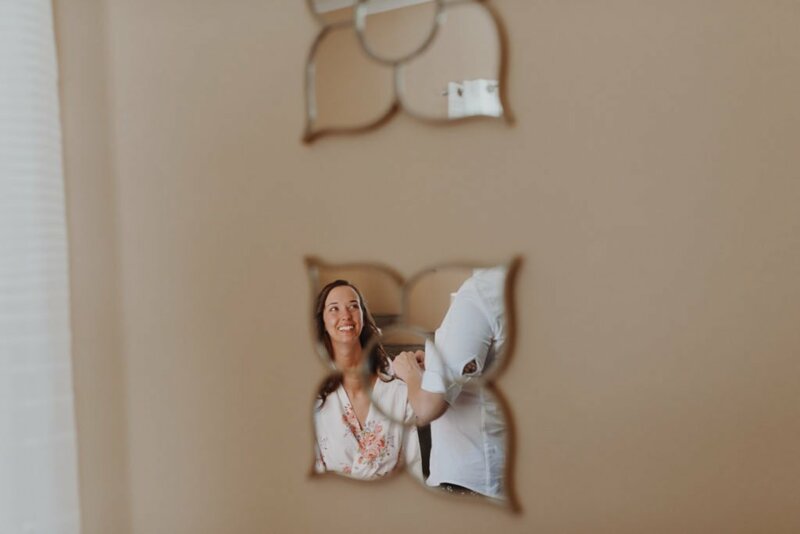 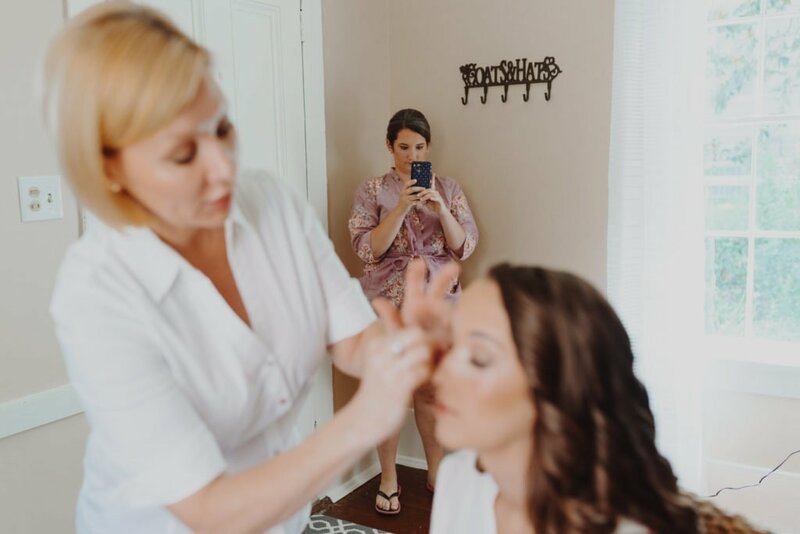 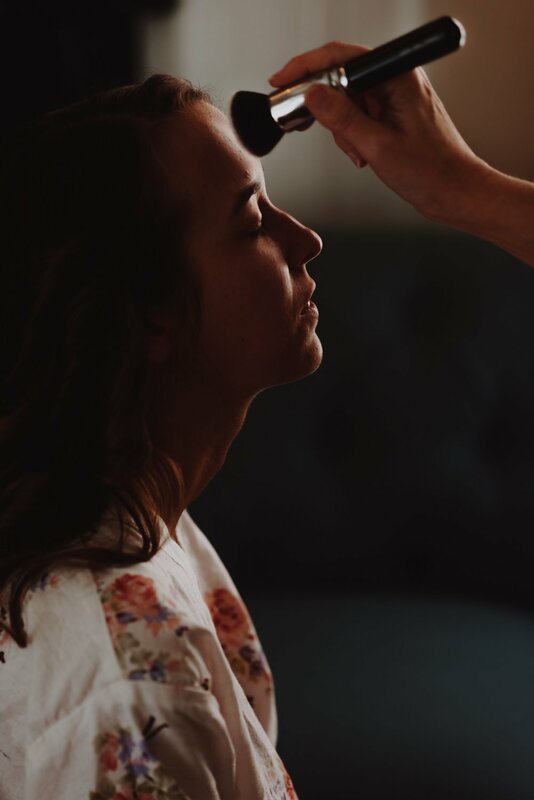 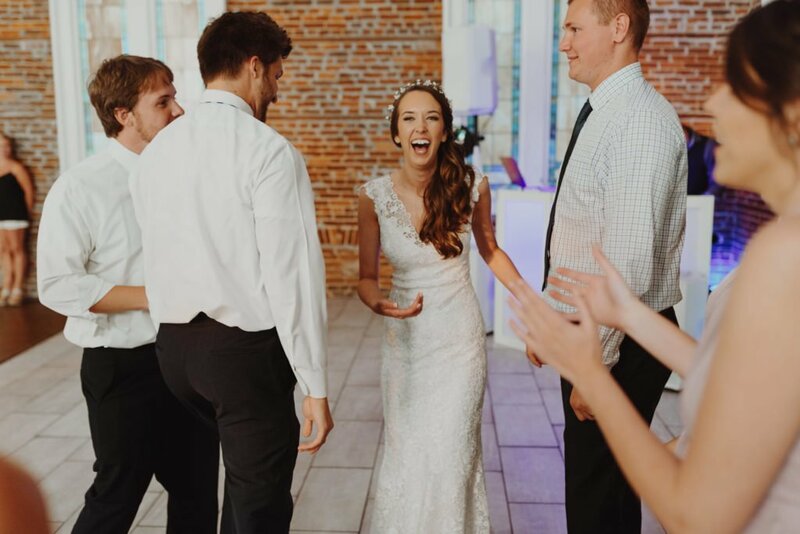 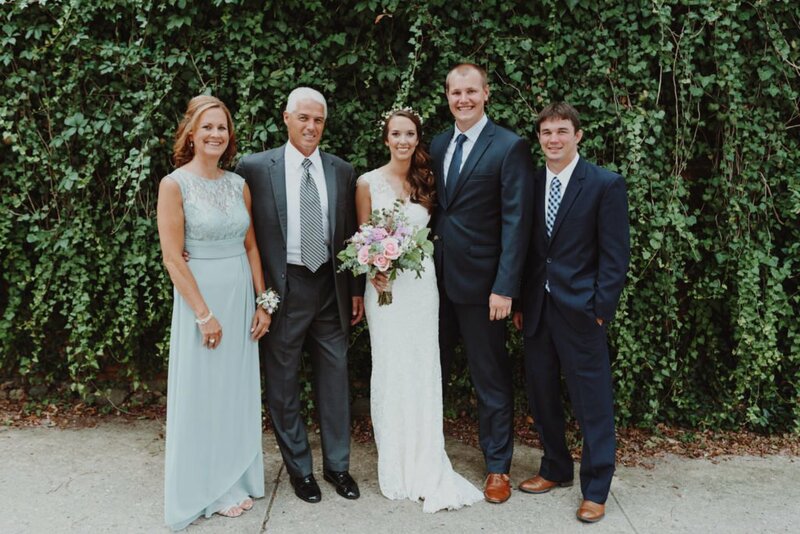 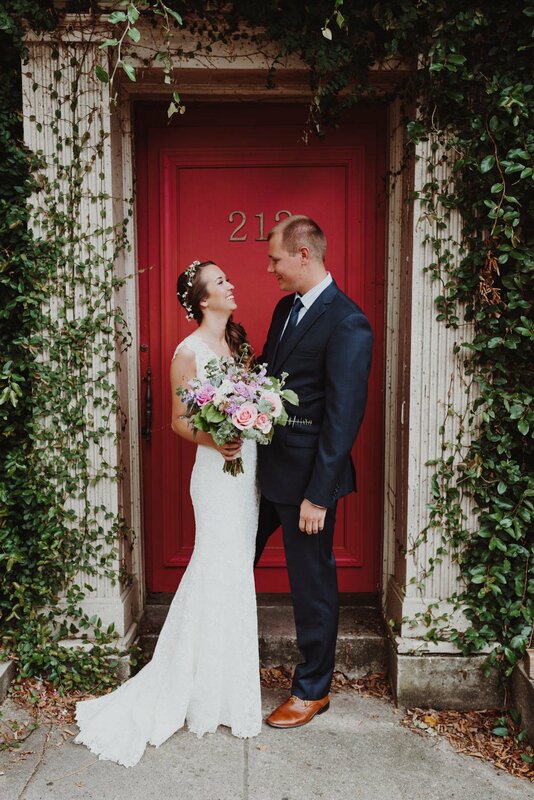 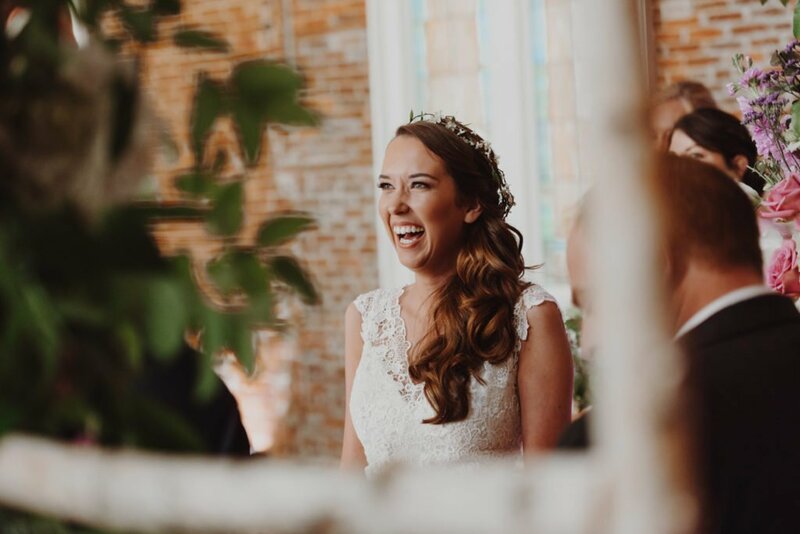 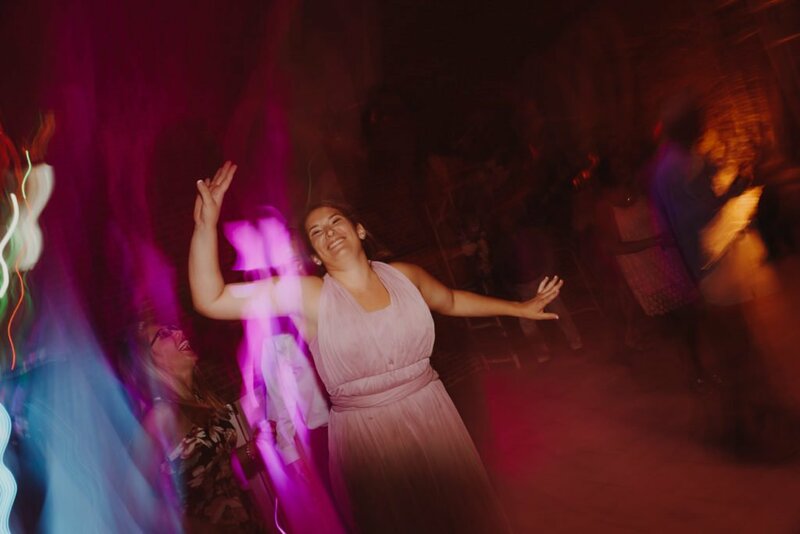 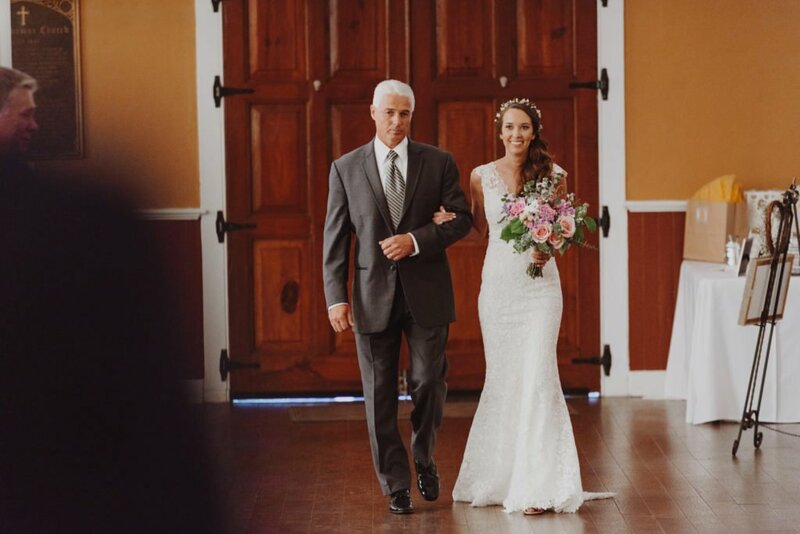 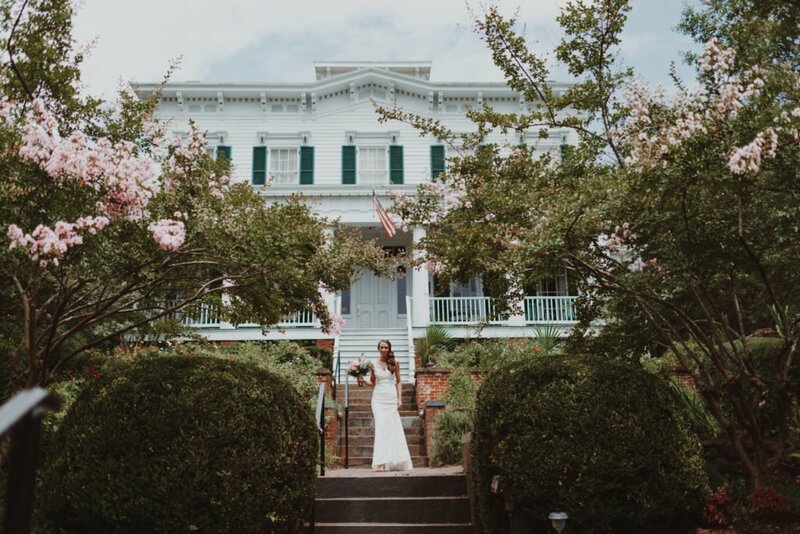 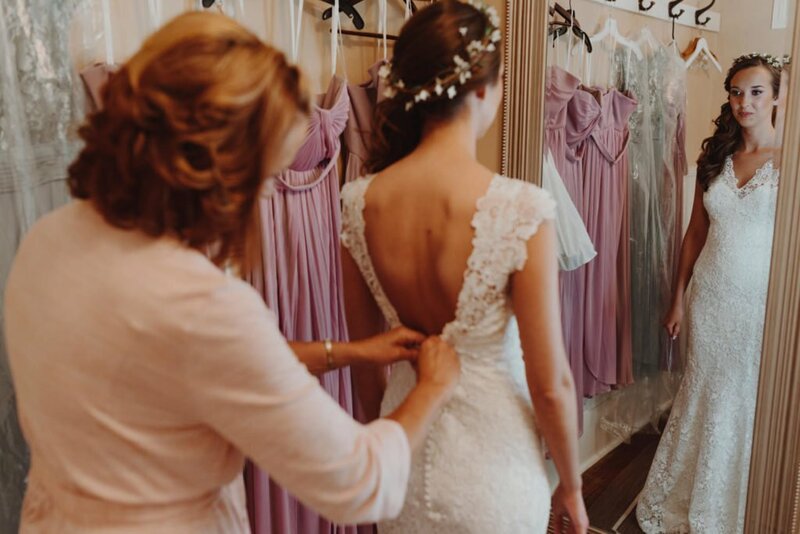 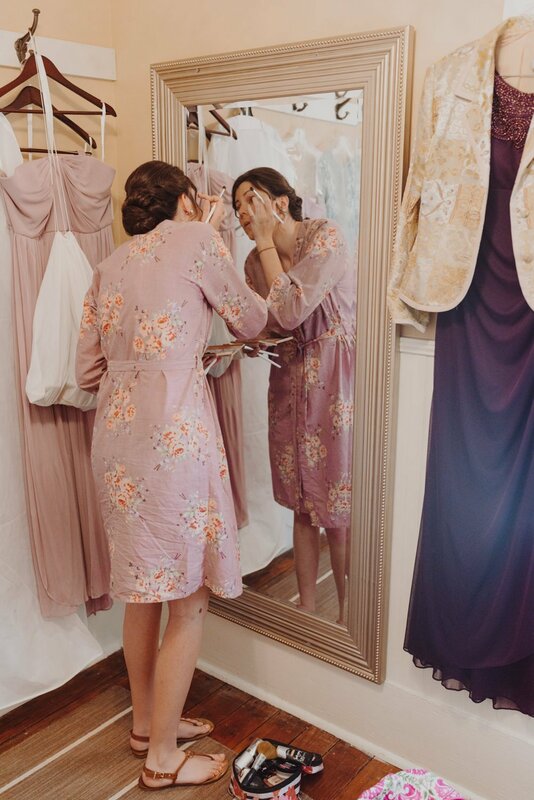 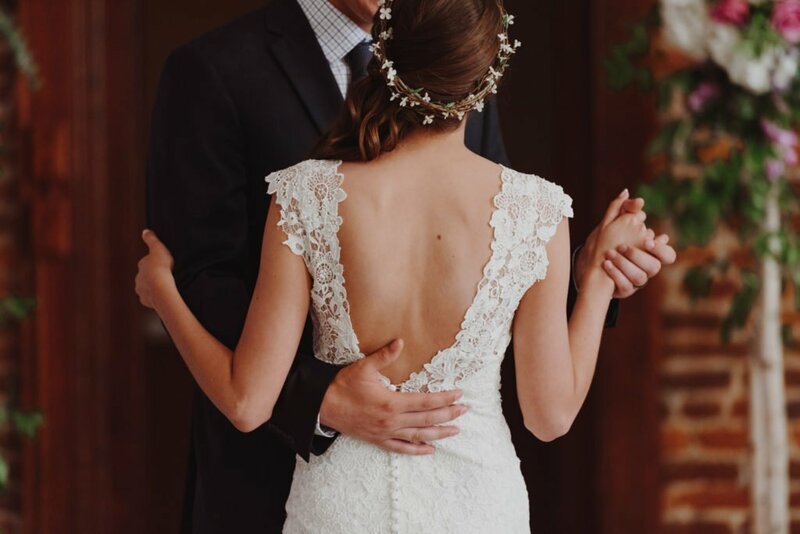 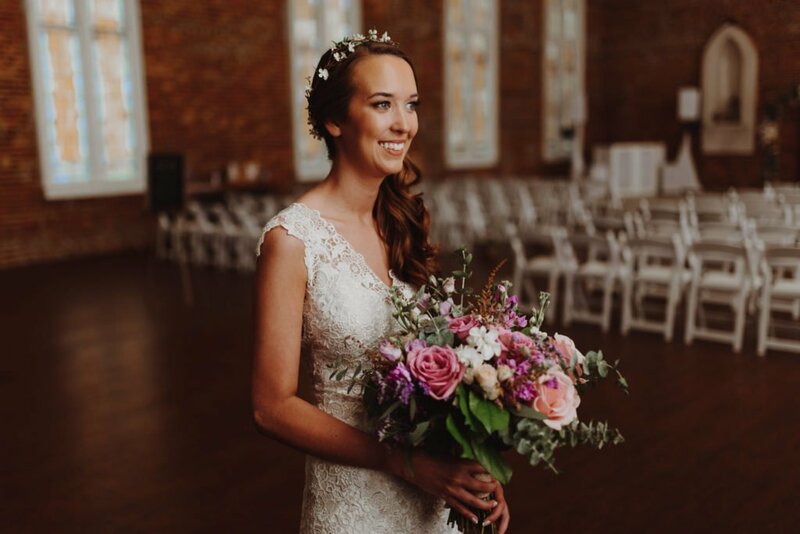 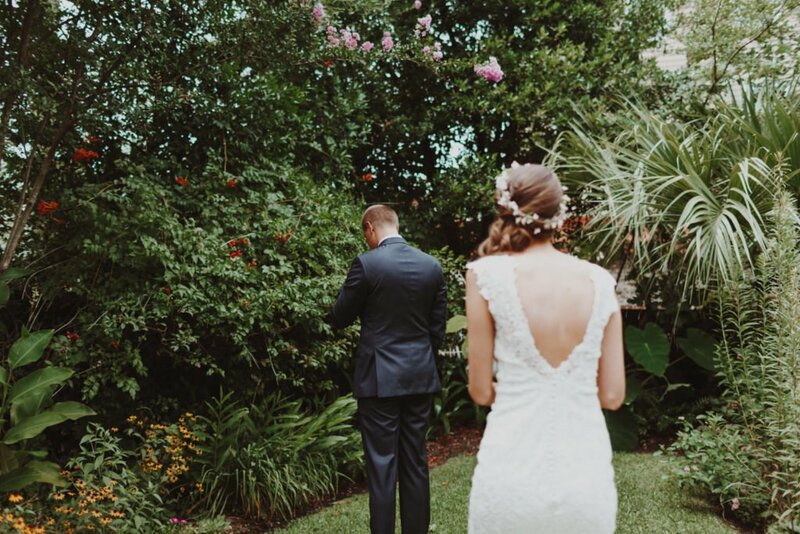 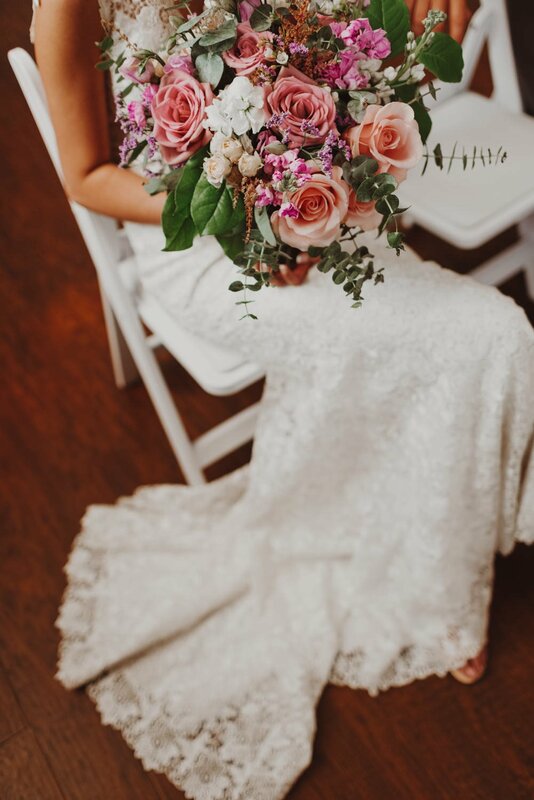 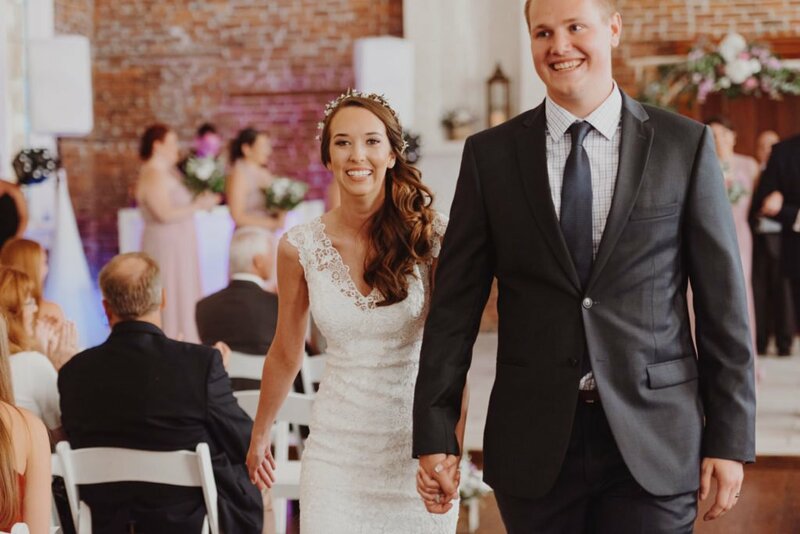 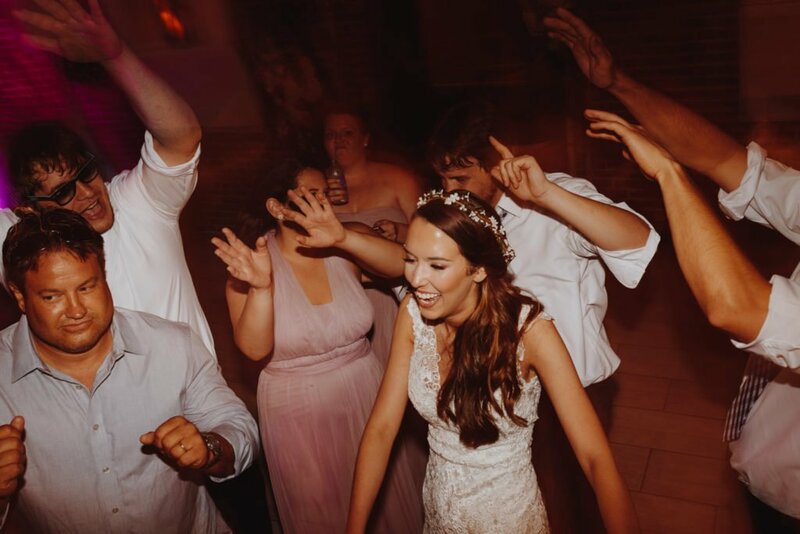 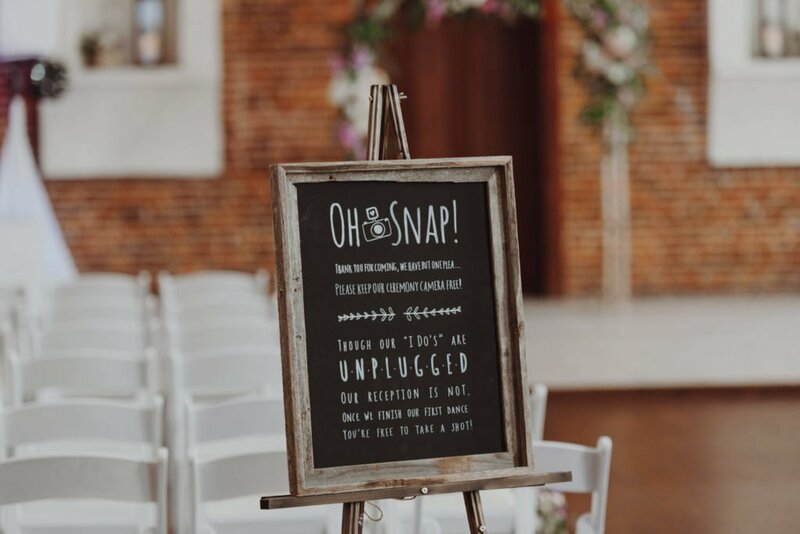 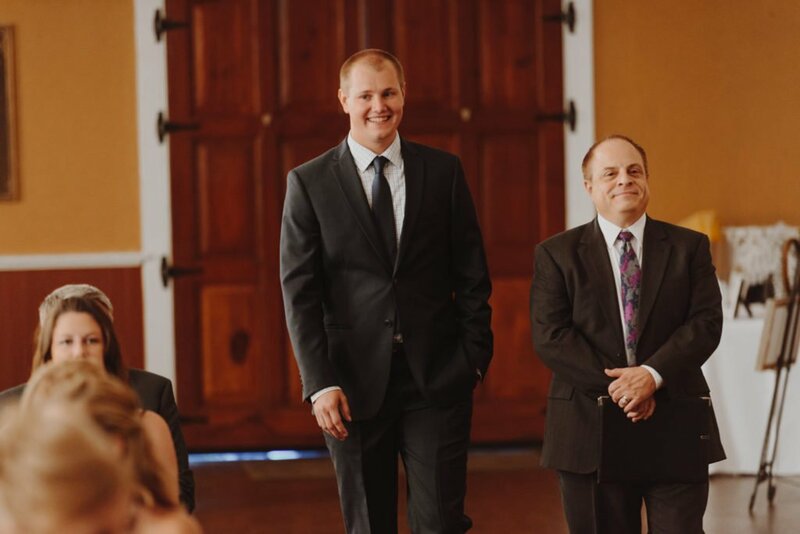 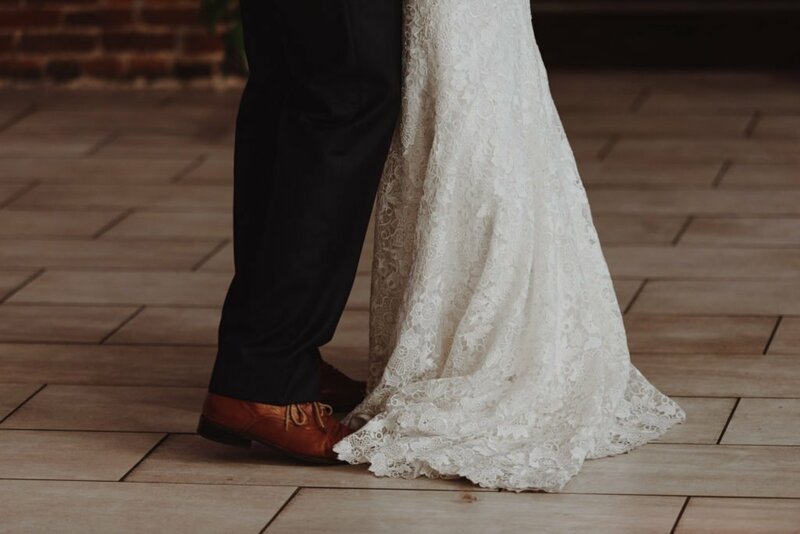 I ALWAYS recommend a first look not just because it makes the timing of the wedding so much easier, but it also alleviates the stress and nerves most brides and grooms have before the wedding ceremony. 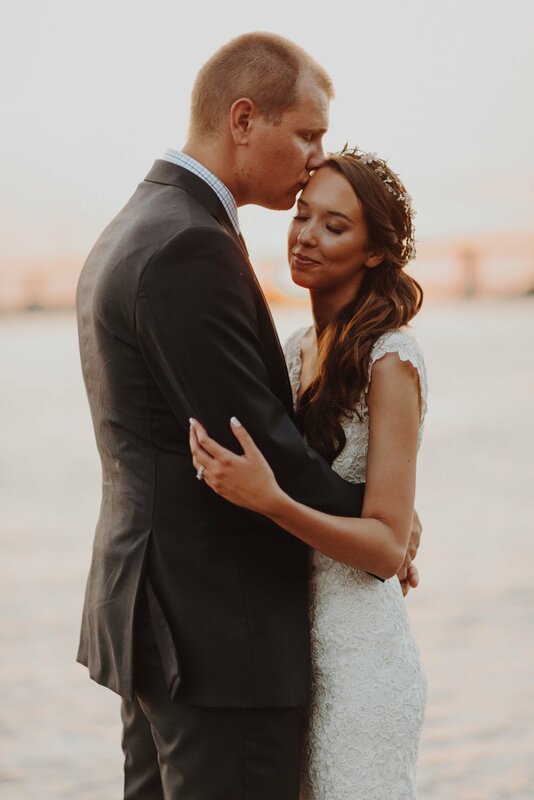 After the ceremony we waited until the sun started going down and went out to do some more portraits of the bride and groom and the bridal party. 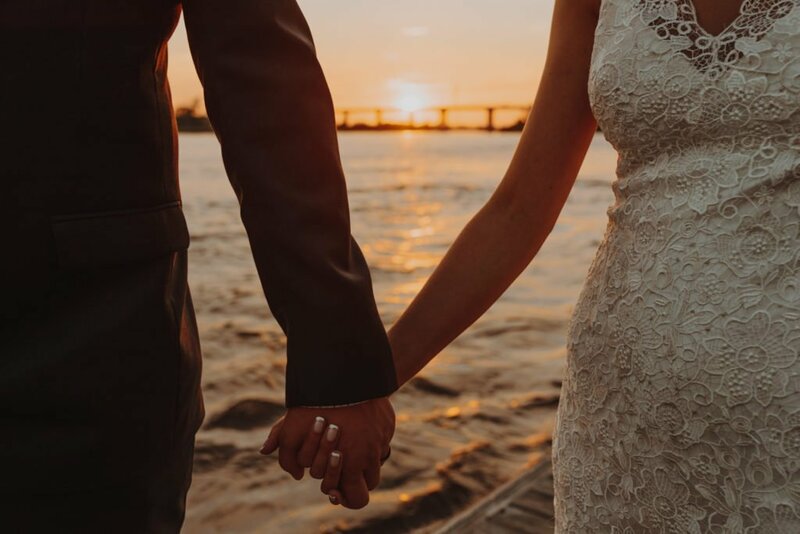 We had a really nice sunset that nice and finished taking portraits on the Willamette River before making our way back to the church to do some dancing and eat some cake.